Palaces abound in Vienna and many are well preserved to this day boasting of impressive interiors and decors. 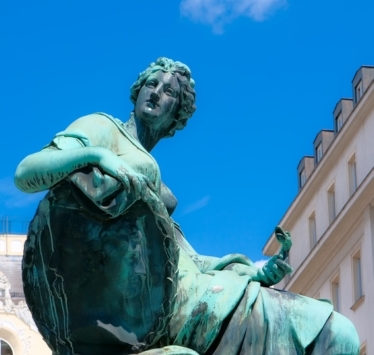 The Palais Kinsky is one the beautiful and historical Baroque palaces in the Austrian capital. Originally built for Count Wirich Philipp von Daun, the structure situated in Freyung square was constructed between 1713 and 1719 by architect Johann Lukas von Hildebrandt. In 1784, it was sold to the Kinsky family who has been the owner of the palace for more than 200 years. Today, the palace is a popular venue for dinner functions and offers scrumptious cuisine. It also hosts auctions, conferences, workshops, receptions and other private guests accommodating up to 220 guests. The oval ballroom is the heart of the palace but it also has other function roorms such as the ladies, gentlemen and yellow salon. The Palais Kinsky features a yellow and white facade while its interior showcases a grand staircase, ceiling frescoes, quadrature paintings, mirrors and numerous sculptures. Its location in the center of the city makes is easily accessible to people. It is easily connected to public transport (underground, tram and city buses) while public car parks are also nearby. In the 1990s, the palace was renovated to restore it to its former beauty. It now has a restaurant and several shops.